Tuesday, October 30th was a day of firsts. It was the first time I attended a Penn Foster High School graduation, and it was also the first time I visited a chicken processing plant. Not least of all, it was the first time I had the pleasure of meeting Lisa Bullock, the first person from Perdue Farms to graduate from Penn Foster High School. A brief drive through rural North Carolina on the morning of Lisa's graduation day brought me to the Perdue Farms Lewiston plant, where I was greeted by Perdue Learning & Development trainer Kathy Redden. After a brief tour of the facilities, we organized the reception area for Lisa’s graduation. By the time the ceremony began, the room was filled with people excited to celebrate Lisa and her accomplishment. Her friends, church community, and entire team at Perdue gathered to show their support. Lisa is the type of person we all aspire to be. She is a determined, energetic mentor to many and possesses a positive attitude at all times. It was clear from the moment she walked into the room how everyone in her life feels about her; the clapping and cheering was enough to make the driest eyes in the house tear up. Lisa was clearly so proud of what she had accomplished, and we all sat in awe as we witnessed this special moment. 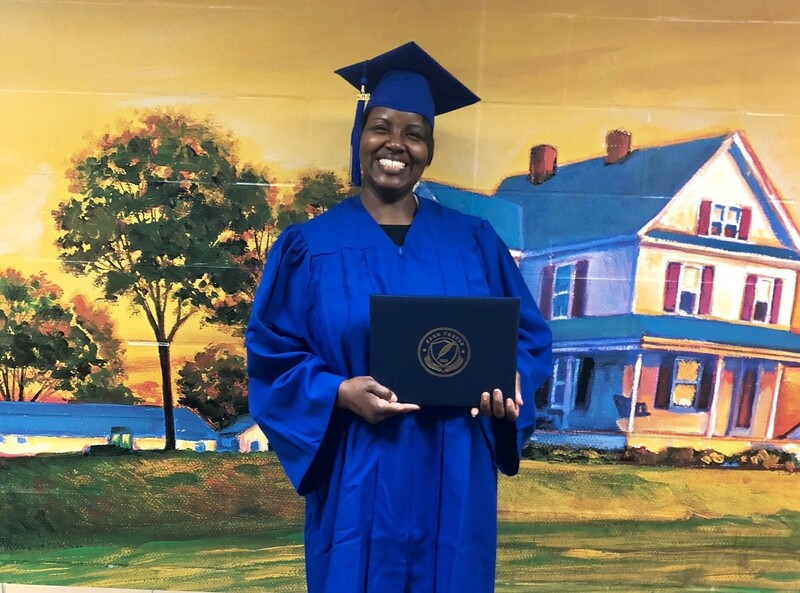 Plant Director of Operations Jeff Stalls presented Lisa with her diploma and spoke about her commitment and dedication to her job, as well as the positive energy that she brings each day. He expressed a lack of surprise that Lisa would be first to graduate from the program, and finished by praising her determination and ability to pave the way for future Perdue graduates. Next, it was Lisa’s turn to speak. She discussed her perseverance and the reasons that this moment meant so much to her. She credited the full support of her team, her church community, and many others who helped her achieve one of her lifelong goals. She was surprised and grateful that her entire shift team was able to be there to celebrate, as they were originally scheduled to work until later that evening. 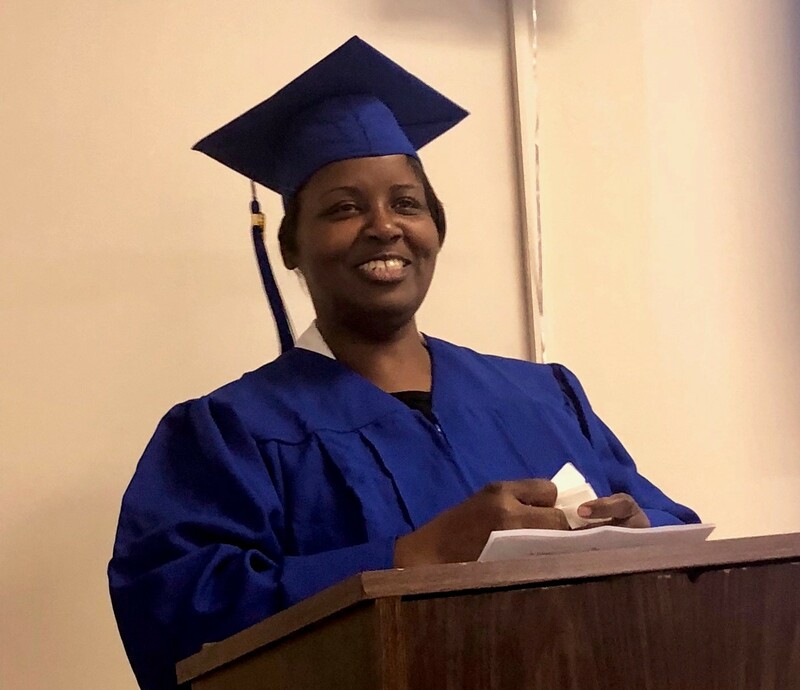 Lisa’s education goals do not end with her Penn Foster graduation, as she announced that she’s now enrolling at her local community college and is committed to furthering her studies. Redden and Christine Benoit, also of the Perdue Farms Corporate Learning & Development team, were both on hand to show Perdue’s continued commitment to education and the growth of its associates. I was honored to represent Penn Foster on this day, and this ceremony served as a perfect reminder of what we strive for at Penn Foster. Congratulations to Lisa on a well-deserved celebration! To learn more about Penn Foster's high school completion program, reach out to us by clicking the link below!